By this point in time, many owners (myself included) of the Custom Shop variety of the Budokan guitars ... Aged & Signed, Aged and VOS ... have made the unfortunate discovery that their guitars DON'T function exactly as they are supposed to. 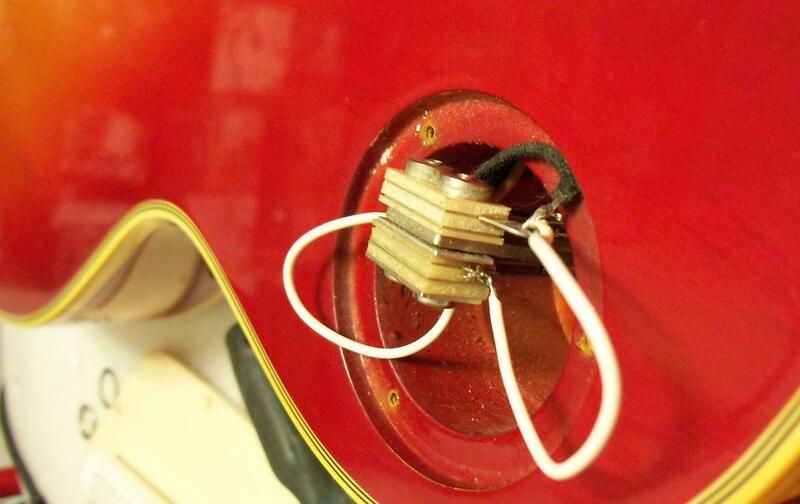 Specifically, when the toggle switch is moved into the neck/rhythm position, the guitar should be silent (remember the neck and middle pickups are NOT hooked up). That said, there are some guitars out there that DO function properly, straight from the factory. Before I go into the AceFrehleyLesPaul.com solution, I will first and foremost refer you to the AMAZING people at Gibson Custom's Customer Service department. Myself and a friend and fan of this site and owner of Aged & Signed #46, Brian Walblay; have been in direct conact with them and they have stepped to the plate right from the word go, once this issue was discovered. Gibson Custom is willing to help in every way possible. For those of us here in North America, their contact information is ... 1-800-444-2766 or globally, you can e-mail them at customer.service1@gibson.com . *Note: In order to maintain the validity of your Gibson Warranty, DO NOT perform the action listed below on your own. Please refer the work to a certified, Gibson repair tech either at Gibson Custom in Nashville OR at the dealer where you purchased your Gibson product. 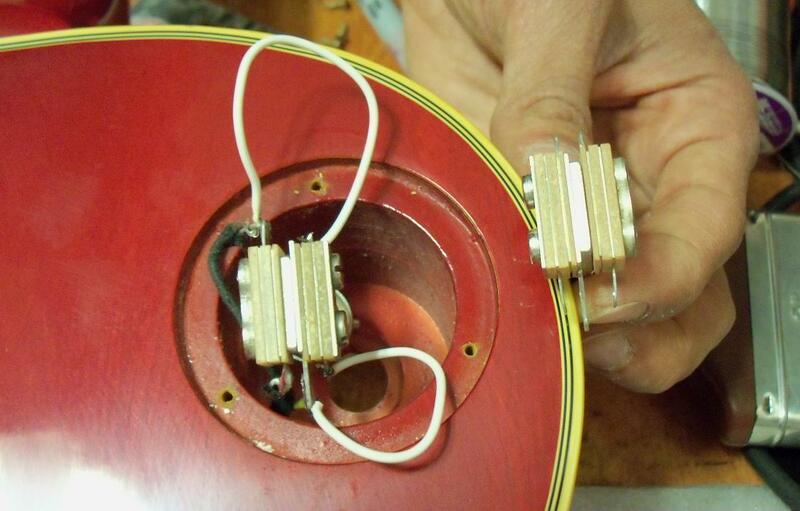 And here is the solution from AceFrehleyLesPaul.com ... With the help of my own guitar tech, Babak Hazrati and one of my friends and a great fan of this website, John Luekemeyer, I'm very pleased to be able to provide you all with a very simple, quick, inexpensive fix. 1.) Access the toggle switch by removing the back plate that covers it and un-do the retaining nut that holds it in place, on the toggle switch washer. On your toggle switch, you will see one side has 2 tabs (although one has been clipped down) and the other side has 3 tabs (again, one has been clipped down). 2.) On the side with 2 tabs; solder a 2" piece of wire to each tab. This will be a little difficult to do on the one that has been clipped down, but it can be done. Do NOT remove the black wire already connected to the full tab. 3.) On the side with 3 tabs; solder a 2nd, 2" long piece of wire to the longer tab, in the middle and what remains of the tab that has been clipped down. Again, difficult to do, but it is possible. Do NOT remove the yellow wire already connected to the longer, center tab. Problem solved !!!!!! 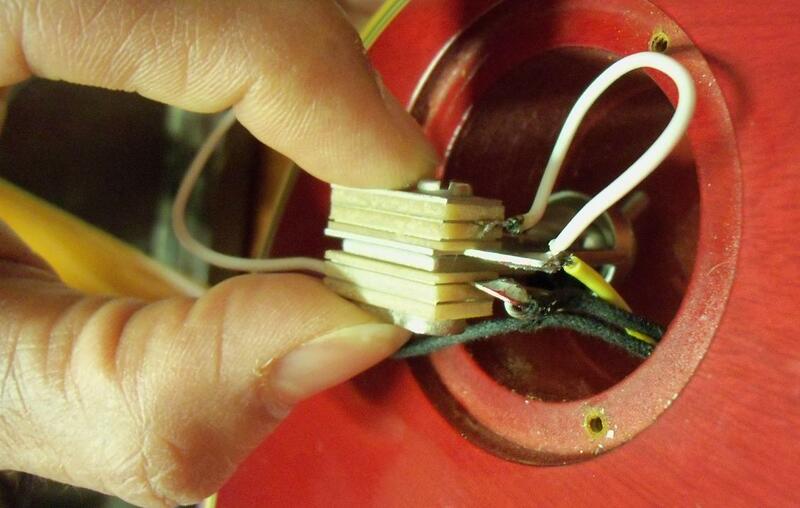 Now the toggle switch will operate as a "kill-switch", when put into the middle AND the neck/rhythm position. Exactly the same as Ace's original guitar does ! **Note: A replacement, triple pickup toggle switch is available from Allparts (model # EP-4367-000). The creme colored switch-tip from your existing toggle switch will fit onto this replacement switch. Then follow the steps listed above. There is no need to clip the two tabs down, as was done on the original switch. Here are some pictures of the solution done today, on my Budokan AFB 072. ***Note: The addition of the 2" white wires is for demonstration purposes only. They are NOT required to solve this issue. You or your tech can strip the black and yellow wires back a bit and connect them, instead of the white wires and easily achieve the same end result. 2" white wire soldered between the longer middle tab with the yellow wire and the clipped tab. Overview of the finished solution. Allparts EP-4367-000 without clipped tabs.